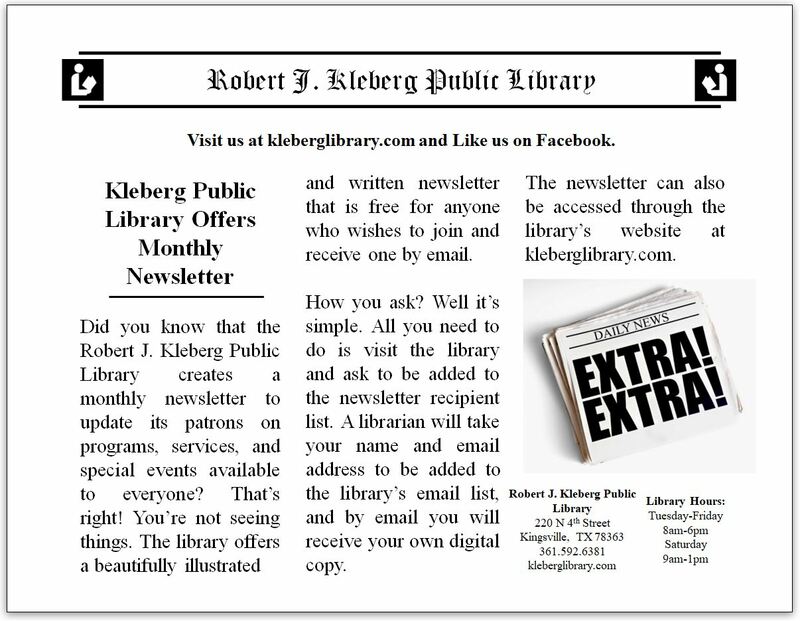 The Community Outreach programs of the Robert J. Kleberg Public Library offer local organizations the opportunity to have a library resource presentation that is designed to give insight into today's library environment and social librarian. 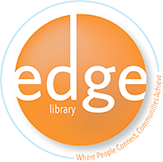 Each Community Outreach program is conducted by a knowledgeable library staff member and is done as a resource presentation that lasts approximately 25 – 45 minutes. 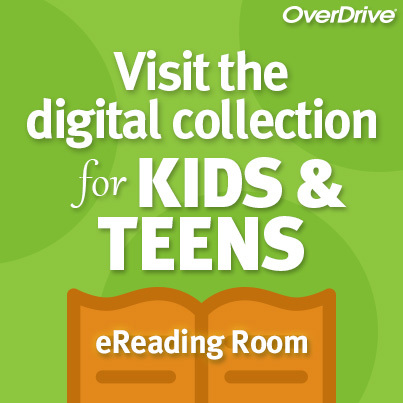 The presentation, shown in PowerPoint format, is informative in nature and engages the audience by providing an overview of the library's services, all while giving insight into how these services impact the individuals and families that utilize them. Brochures and flyers regarding our library services are also provided as take-away materials for attendees to review at their convenience. If your organization is interested in scheduling the library for a presentation at its next meeting or to be a part of your next event, please contact the Outreach Services Librarian at least 1 month prior to the scheduled date. There is no minimum amount of members or attendess that is required to schedule the library to visit your organization. Our Outreach Services librarians are prepared and have presented to groups with as little as 10 people and as many as over 300 people.